Anime fans is very big in Indonesia. To accommodate the growing fans, KAORI Nusantara is working hard to bring SACRA Music, brand of Sony Music Entertainment Japan which mainly found in anime themes, and release the physical form in Indonesia. On Thursday (14/12), with #JPopUntukIndonesia (J-Pop For Indonesia) hashtag, KAORI officially unveiled this collaboration. This collaboration happened after negotiations between KAORI and Sony Music Indonesia as the licence holder for Indonesian market. 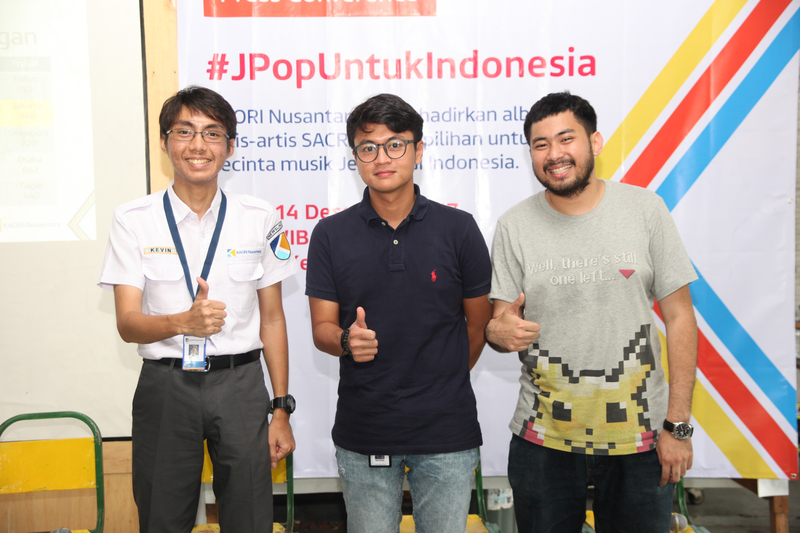 SACRA Music is selected due to the presence in Indonesia, where some of the artists such as LiSA, Kalafina, and Garnidelia has performed in local anime festivals. At the beginning, KAORI will release EGOIST’s first compilation album, GREATEST HITS 2011-2017 ALTER EGO, which featured theme song from some anime including Guilty Crown and Fate Apocrypha. The album is scheduled to be released on 27 December 2017 in Japan and scheduled to be released in Indonesia in January 2018. Then KAORI will release at least four more albums during 2018, and timing it as closely as possible within the date of Japanese release. Maulana, director of PT Nazeka Paramuda Nusantara as the holding company of KAORI hoped to accommodate the demand of Indonesian fans. Kevin Wilyan, managing editor of KAORI Nusantara, said that this is a high-risk decision to open the uncharted market. The pre-order will also be accepted through KAORI Shop, Tokopedia, and offline booth at Blok M Chika Fest, Jakarta, 23 December 2017. KAORI Nusantara is the anime website of Indonesia, with core business about delivering latest news from anime culture, Indonesian creative industry, and public transportation. Located at www.kaorinusantara.or.id, KAORI has nine years of experience and strive to be the best information provider which is trusted by its readers and stakeholders.